Our prompts for early autumn are over, today we start with classical Japanese kigo for mid-autumn and today we start with the most wonderful flowers I know. 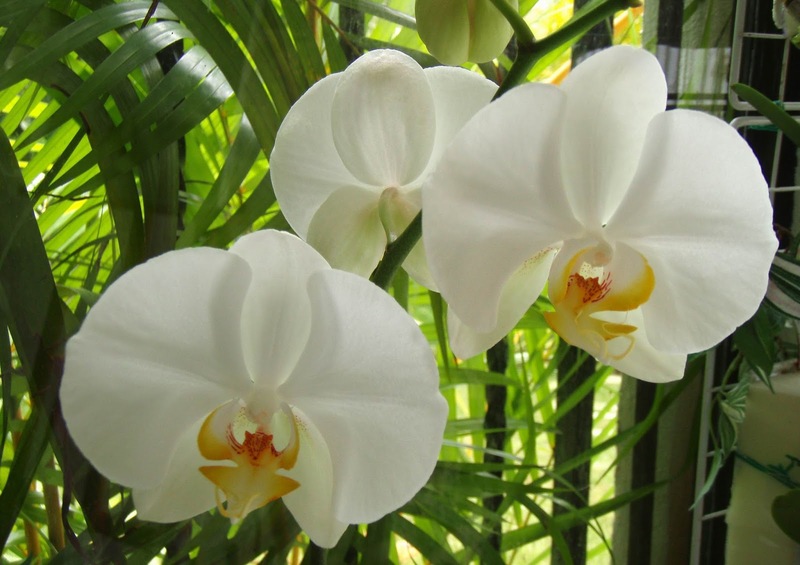 Today we share haiku on Ran (Orchids) the whole range of orchids is gorgeous in my opinion, so I am looking forward to all of your wonderful haiku on Ran. What a beauty don't you think? Look at those fragile flowers of the White Orchid ... gorgeous. Unlike most flowers that have round-shaped petals, orchids have petals in geometrical shapes. No wonder, these beautiful flowers are used to convey special messages. Because of their symmetry, and the straight lines on their petals, orchids represent beauty in symmetry, and are considered epitomes of rare beauty. In Victorian England, these lovely flowers were likened to a beautiful woman. Interestingly, even a woman's attire during the era had a striking resemblance to the flower. The people of ancient China considered these flowers as 'Lan Hua', or the epitome of human perfection. Orchids are considered symbols of love because of the fact that the plants grow easily, and bloom under most conditions. During the Victorian era, it was a custom to gift exotic and rare flowers to show love and affection. It was even believed that rarer the flower you chose as a gift, deeper was your love. In parts of Europe, orchids were used as a key ingredient in love potions. 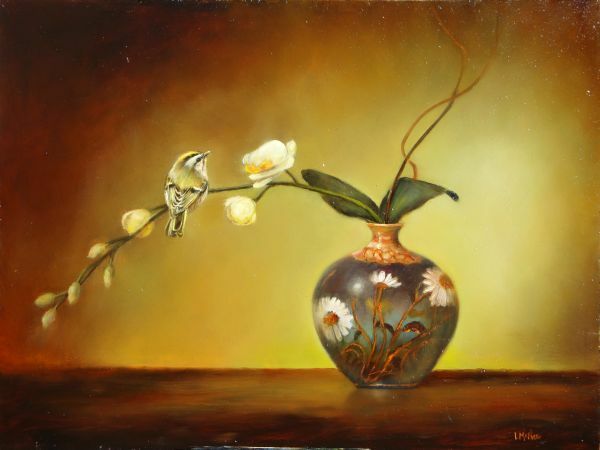 A white orchid stands for innocence, beauty and elegance. A nice gift for one who’s dear to you. In ancient Japan as a warrior found an orchid it told him that he was brave. Orchids have so much to tell us, but mostly we have them in our home because they are so beautiful and I only can “that’s so true”. These haiku aren't my strongest ones, but I like the intention which they radiate through their words. So I am looking forward to your haiku on Ran (Orchids). This prompt will stay on 'till September 12th 11.59 AM (CET) and I will post our next episode, Wase (early rice), later on today around 7.00 PM (CET). !! Ran (Orchids) is open for your submissions at 7.00 PM (CET) !! Have fun, be inspired and share your haiku with us all here at Carpe Diem. Nice posting Kristjaan, as always, but absolutely wonderful haiku, the samurai warrior - breathtaking. Wonderful... and orchid is such a great flower for haiku.. and as usual your offerings and haiku are exquisite. I really love the contrast of the warrior and the flower. Now you and Buson point me to it, some orchids do resemble the shape of a samurai headdress. So happy that you give us latecomers a chance to dip into the archives and write on it.